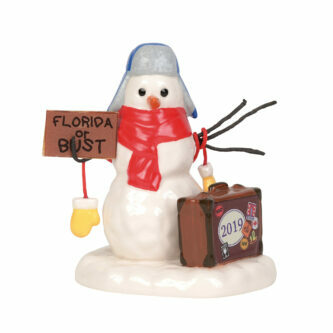 In this humorous annual piece, Lucky the ambitious if naive snowman is determined to get to Florida for the holidays, even if he winds up a puddle. There’s a 2019 sticker on his suitcase to commemorate the year. 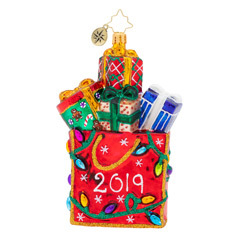 Remember the Christmas of 2019 forever with this special annual piece featuring Santa, one of his loyal reindeer and a sleigh full of presents, engraved with the year. 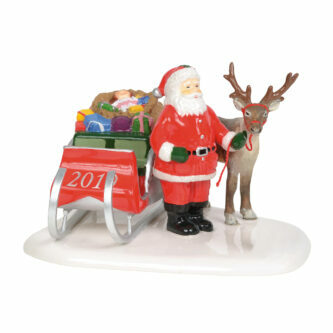 Celebrates the 25th Anniversary of Santa Comes to Town.